Whether you love to quilt, scrapbook, cross stitch or knit, there is a retreat out there for you. Think of it - a place to go with other women, away from the husband that can't find anything, the job with the crazy co-worker who won't take her meds, the children who see you as the chauffeur they're embarrassed to be seen with, your mother-in-law (no description necessary), the dog that spreads garbage throughout your home and lies in the middle of doorways, the mountain of housework because you don't have an Alice, and all those other responsibilities which leaves you wondering if you can just get in the car and leave, throwing your rear view mirror out the window. I'm going on a retreat in a couple of weeks. This retreat has a very long weekend, starting on Wednesday afternoon and ending Sunday. Eleven meals prepared for me, long days of stitching or knitting well into the night, a possible massage and pedicure, playing games, and a chance to make new friends. The only thing better would be to go on a stitching cruise. And yes, they do exist - so do needlework and knitting tours in Europe - but that will have to wait until I turn into J.K. Rowling. Since it's close by, I'm sure some of those retreaters will visit the store. We love retreaters. They tend to come in groups of four or five, and they ooh and aah. We like oohs and aahs. Weekends in the spring and fall are perfect for retreats. In the spring they're an opportunity to build up reserves for the summer when the kids are home all day for two months, and in the fall they're a reward after you get everyone off to school again. It's a mini-vacation over a long weekend. Speaking of weekends. Guess what's on sale this week? You can treat yourself and re-treat again! Spring is here - even in Alberta. We're still in a little shock over that. Some of us don't believe it and are waiting for the snowstorm that buries us forever. In the meantime, people are dreaming of gardens. Personally I'm Medusa when it comes to plants, only instead of turning to stone, plants wither up and die right before my eyes, as if filmed with a fast forward camera. Still I love gardens even though actual gardening eludes me. As a needleworker, I can paint gardens with threads and as a knitter I can allow the beautiful colors to inspire me creating combinations I never would have thought of. After all, in a garden there is no such thing as colors that clash. Knitting is for good weather too. After you've planted your flowers, veggies, fruits, and herbs, and trimmed your trees and bushes, and supported your ivy, and painted your deck, fences and furniture, you can collapse. And then you can get up and sit in the oasis you've created and knit while your significant other barbecues and the kids throw balls at your head. Knitting is portable. You can take it anywhere. A deck chair in the sun with cool breezes gently whispering through your hair, and a laptop for watching your favorite show or listening to music or a podcast is as good as a living room couch. Just don't take out that two year old afghan or that heavy wool cabled sweater. You will start to melt and will get mad at me for telling you to knit in the sun. I just got images of you sitting in your chair in a sundress screaming "I'm melting, melting..." and then being reduced to a puddle under the chair. Nope, sun knitting is for lovely lace shawls, tees and shells, and light accessories made in cotton, linen, bamboo and sugar cane. It's for bright candy colors, ice cream pastels, and cool white. Sun knitting is for summer gatherings at the cabin at the lake, while with the family at the beach, moments in the backyard and long car rides (as long as you're not the driver). Let's not do that either. So to celebrate spring and the inevitable coming of summer, the 75% off sale is on some of our cotton. Posted by Anna Maria Junus happy employee who wishes she had a cabin by the lake or a trip to Greece. 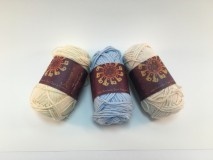 We have a lot of Berroco yarn. When I say a lot, I mean like enough to yarn bomb every tree in Lacombe. Not that we want to do that. 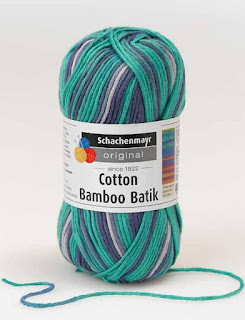 We like Berroco yarns and although trees are lovely, we feel that it is unnecessary to dress them in striped body suits, especially in exquisite Berroco yarns. Ceiling-mart yarns are good enough for trees. Berroco is a family company. It began in 1809 by Jerry Wheelock in Uxbridge Massachusetts back when men wore knee breeches and powdered wigs. The mill produced woolen cloth although I doubt anyone was wearing a powdered wig while creating cloth. Powder in your woolens is probably not a good idea. It might make someone sneeze. The company has been passed down through six generations, several wars, and the hippy era. The Wheelock family still own it, morphing it from a woolen mill to a distributor of fine yarns from around the world. So now instead of making cloth, they provide the materials for you to make cloth. Their website, Berroco.com, not only showcases their yarns, but patterns (including freebies), a blog, and knitting tips. Want to learn how to block? They have the info. Want to join a stitch-a-long? They've got that too. They also send out a newsletter to interested customers letting them know about the new yarns and patterns and they often enclose a link to a free pattern. According to our sales rep, we very well may be the largest retailer of Berroco yarns in Western Canada. Not that we're claiming it because we do not want to get into a Berroco duel with anyone. Although a duel with knitting needles might be interesting. Hmm. I should ask Lori how good she is at fencing. She may have to defend her honor one day. We carry a lot of Berroco patterns too and if you're a Nora Gaughan fan, then you will love the Berroco books that showcase her work which range from stunning to kind of weird. 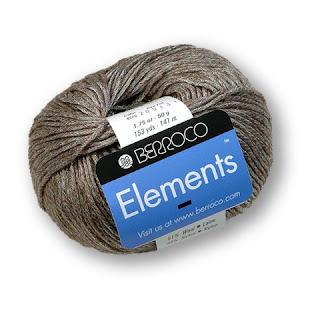 This weeks 75% off sale showcases a Berroco yarn. See, there is a reason why I've waxed poetic about Berroco. Okay, maybe not poetic and waxing hurts anyway. In other words - understated shiny stuff. It's quite elegant looking and people on Ravelry have created some beautiful projects with it. Norah Gaughan designed a gorgeous sweater. Look at that cable! It's like Celtic embossing found on ancient long forgotten churches that you stumble across on snowy days while looking for shelter or while wandering the wild woods with a sword by your side and riding your trusty steed with your wand hidden away in your cloak - that you knitted. We had the book around here but it's gone now, however you can download the PDF pattern on the Berroco website. Here it is. So download the pattern and hurry over to us to get the yarn. We do have enough, but only if you get here fast! Like really fast. Like sleep overnight in your car parked outside the store fast. 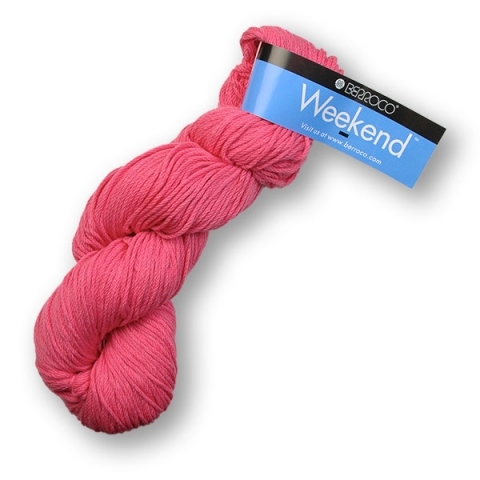 Remember that week when we sold out of our sale yarn by 1:00 on Monday? Now I'm not saying that will ever happen again, but who knows? We've often sold out by Wednesday. 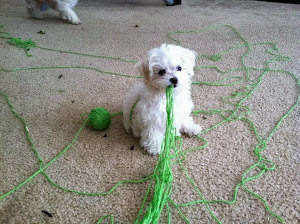 And then if you planned on knitting this pattern with that yarn, and you weren't here early enough, you would be very sad, and have to settle for something else in our store. Which would still be nice, but more expensive because it wouldn't be at 75% off. Even if you don't want to commit to a cabled sweater, with all this glittery goodness this would also make a lovely shawl or scarf. Just enough shine without competing with the signs of Las Vegas. We have four lovely colors in stock. Curium, Sulfur, Xenon, and Krypton which I think is the big brother of Kryptonite, the only thing besides emotional blackmail that can bring down Superman. Posted by Anna Maria Junus happy employee who thinks that she would like to make a scarf using that cable pattern because it could lead to a magic Celtic church. 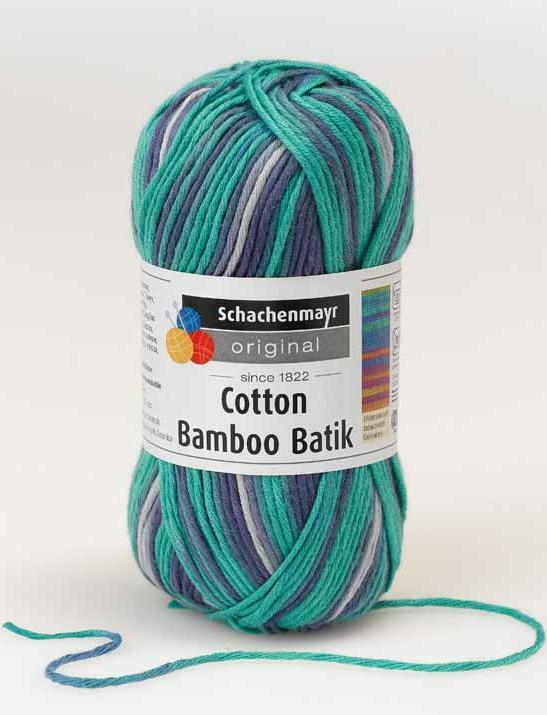 "The name of that one yarn reminds me of a 60's TV show about an African wild life refuge," I said. "Daktari!" Lori replied, checking her cell phone for more information. Lori and I are one year apart age wise (she's older - had to say that) so a lot of our memories of pop culture are similar even though we grew up in different places in Canada. I realize I've dated us, but before you calculate our ages at somewhere in our nineties, I will say that 60's TV shows for us were when we were little kids and we spent a good portion of the 70's as teenagers. It does not add up to being in our nineties but does add up to an age that I myself am not comfortable with. "Wasn't there a cross-eyed lion?" I asked. "Clarence," I said, suddenly remembering the name. "Clarence the cross-eyed lion." Did I ever mention that my head is full of trivial pop-culture? Sometimes stuff I don't even know I know. Like Clarence the cross-eyed lion. Or the 70's Old Dutch potato chips jingle that I found myself singing when I saw an Old Dutch potato chips truck. Do the Dutch even grow potatoes? "Judy the chimp," Lori said, reading it from her phone. "I remember now," I said. "I didn't know that. Makes sense though." We work hard in the store. Yes, we do. Stop laughing. There's customers to wait on, stuff to count (lots and lots of little teeny weeny things to count but I'm not going there right now because we just finished inventory and that's rough enough without reliving it), stock to shelve, phones to answer, constant rearranging to make way for new product - although customers are convinced we do it for the sole purpose of confusing them - and Lori has responsibilities that only she can do. We also try and take time to just sit and knit, something you can't do in most retail stores where sitting and taking a break is considered laziness. Here, it's part of the job. 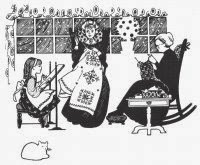 Sometimes when we are sitting in the cozy corner on the couches in front of the window, happily knitting away, we end up with weird conversations, and with the glories of the internet, we look up weird things, like Leonard Nimoy singing "Bilbo Baggins" complete with hippie go go girls. So what has this to do with yarn? Other than one of our feature yarns has a name that reminds me of a TV show about an African wild life refuge that was on when I was a little kid and can barely remember except for the name of a cross-eyed lion. We have two yarns this week. 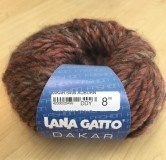 Lano Gatto Dakar. It's a bulky yarn made up of 51% wool, 44% acrylic, and 5% viscose. 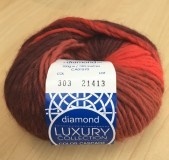 The other yarn is Diamond Luxury Collection Color Cascade Chunky. This one is 50% Alpaca and 50% Fine Peruvian Highland Wool. Links to fun stuff so you know I'm not making it up. Posted by Anna Maria Junus (happy employee with so much trivial information on the brain that I get most of the Gilmore Girls pop culture references).